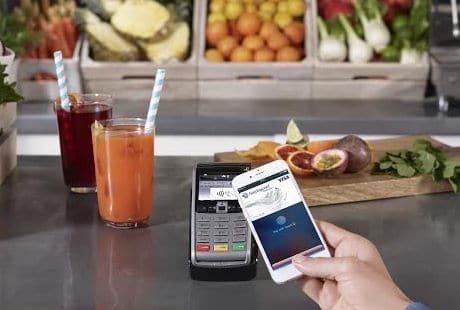 One fifth of German millennials (21%), more than a third of Dutch millennials (36%) and Italian millennials (37%) and a quarter of UK millennials (25%) are now making mobile payments in-store, online and in-app, research released by UK payments infrastructure operator VocaLink reveals. In the UK, Apple Pay is the most well-known mobile payments platform with 84% awareness, followed by PayPal with 74%. However, only 2% of UK respondents have made a payment using Apple Pay. Two fifths of millennials in Italy and Germany have heard of Apple Pay, and 29% of Dutch millennials are aware of the service. The survey — based on the responses of 4,000 consumers aged 18-34 across Germany, Italy, the Netherlands and the UK — finds that in all four countries millennials would prefer to see mobile payments services delivered by either their banks — especially in the Netherlands and the UK — or by PayPal (Germany and Italy). 71% of Italian millennials would like to be able to see their available balance to spend when making a mobile payment. 70% of US millennials are more likely to use a new mobile payment service if it was provided by their own bank, rather than an alternative payment service provider, US-focused research conducted by VocaLink also reveals. 67% of US respondents would use fingerprint recognition to make a payment in the future. “The millennial generation is quite rightly pushing the payments industry to drive high quality innovation, currently dissatisfied with what is available today,” says Cara O’Nions, director of marketing and customer insights at VocaLink. “Payments are a core and critical part of everyday life and it is clear that this group has set the bar high in terms of expectations and will only embrace new payment technology that can demonstrate ubiquity, speed, ease of use and security,” O’Nions adds.